Blessed are those who have nothing to offer. Blessed are they for whom nothing seems to be working. Blessed are those who mourn, for they will be comforted. Blessed are they for whom death is not an abstraction. |Blessed are they who have buried their loved ones, for whom tears are as real as an ocean. Blessed are they who have loved enough to know what loss feels like. Blessed are they who can’t fall apart because they have to keep it together for everyone else. Blessed are the motherless, the alone, the ones from whom so much has been taken. Blessed are they who laughed again when for so long they thought they never would. Blessed are those who mourn. You are of heaven and Jesus blesses you. 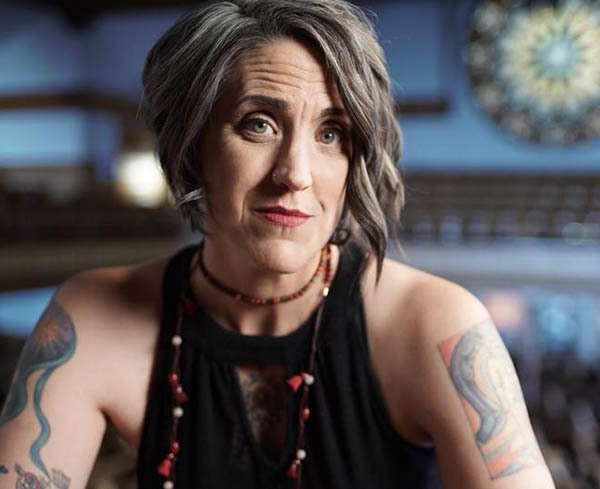 Nadia Bolz-Weber is the founding pastor of House for All Sinners and Saints in Denver, Colorado. She gave her farewell address to her congregation on July 8, 2018. 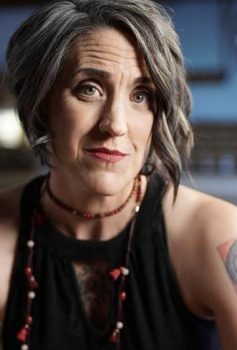 She is the author of the New York Times bestseller Accidental Saints: Finding God in All the Wrong People (Convergent, 2015) and the New York Times bestselling theological memoir, Pastrix: the Cranky, Beautiful Faith of a Sinner & Saint (Jericho, 2013), among other books.